The aunts give the 2 year old an over-the-top celebration. Dream Kardashian’s parents Rob and Blac Chyna are currently at each other’s throats over child support payments. 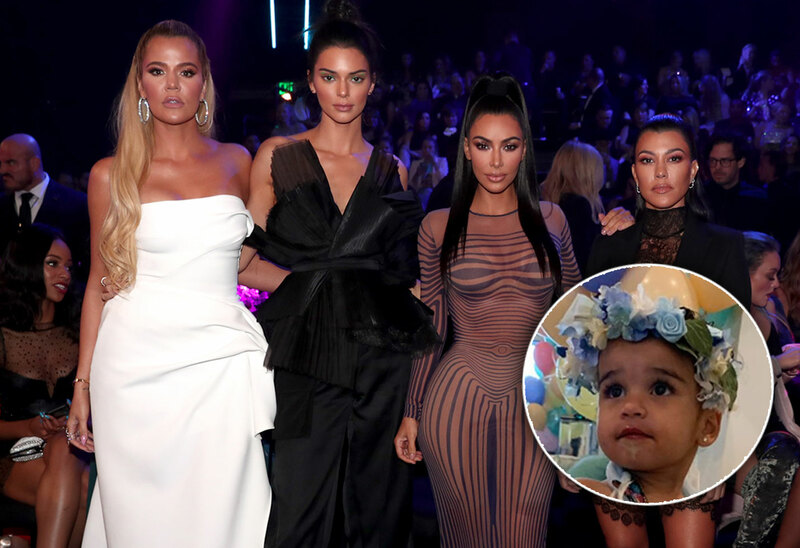 That means her aunts and Rob’s older sisters Kim, Kourtney, and Khloe had to step in to throw her an amazing fairy princess-themed birthday party! The little girl turned two on November 10. Aunt Kylie Jenner was also on-hand for the toddler’s big day. Click through the gallery to see the photos they shared on social media — and to find out why Rob’s not in any of them. Kourtney, 39, shared the amazing decor on her Instagram. The sisters even hired actors to dress up as fairy princesses. Dream looked absolutely adorable in her fairy princess dress and floral headband. Dream's cousins were on hand, including Kourtney's son Mason. All the kids got their own pairs of fairy wings. The dessert table was beyond lavish for a 2-year-old's party. Someone bought Dream a glittery car, similar to the one Khloe's daughter True got earlier this year. The party looked expensive. Presumably, Rob's sisters footed the bill, since he's claiming that ex-partner Blac Chyna has put him in $30,000 worth of debt. According to court documents, Rob, 31, and Chyna, 30, split custody of Dream, 50/50. Yet, he pays her $20,000 a month in child support. Now, he's claiming he's broke and can't afford the payments. He's filing to have them lowered. The situation is so dire, he says, that he had to abandon his house and move in with mom Kris Jenner. Neither Rob not Chyna were in the photos shared on social media of the party. Reportedly, Rob was there, but didn't want to be on camera. Chyna, meanwhile, implied that Rob doesn't pay her child support and that he's lying about his financial situation. Hopefully, her parents' hostility isn't affecting Dream. What do you think of Dream's aunts having to step in to throw her a party? Sound off in the comments!